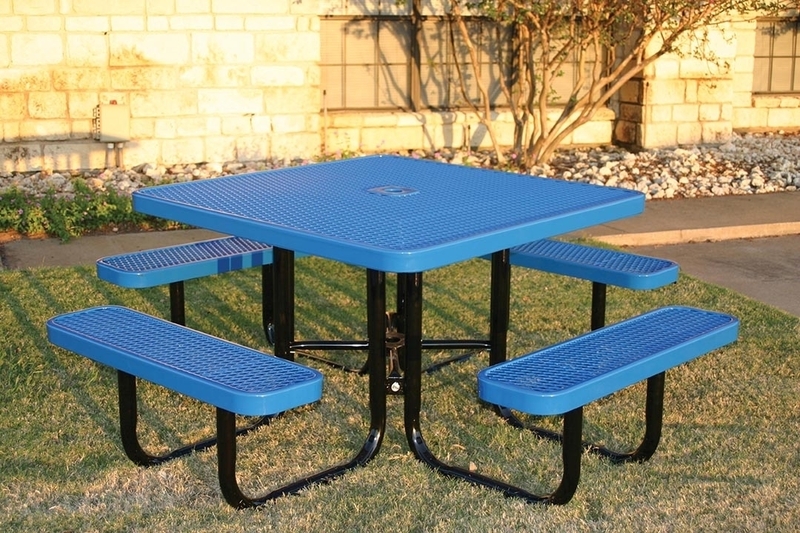 This ELITE Series 46" square thermoplastic metal picnic table is a popular addition to schools, parks, and outdoor business break areas. 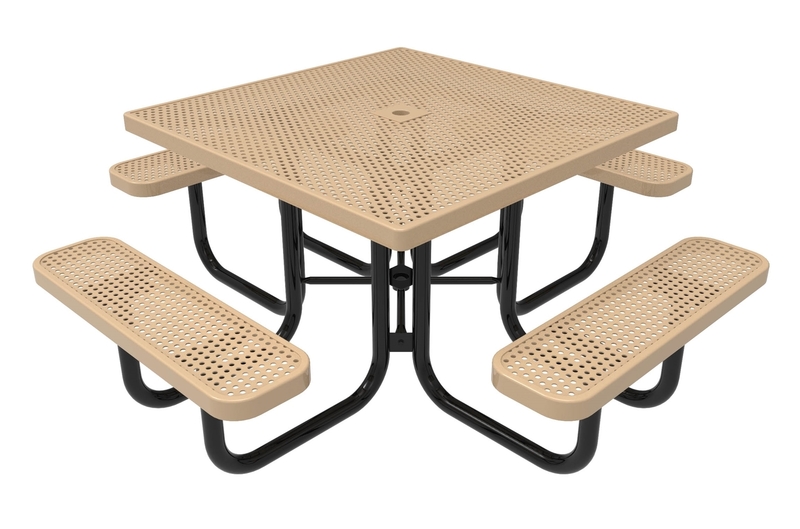 The ELITE Series commercial outdoor furniture is coated with industry standard polyethylene and is constructed of steel sourced from the United States. 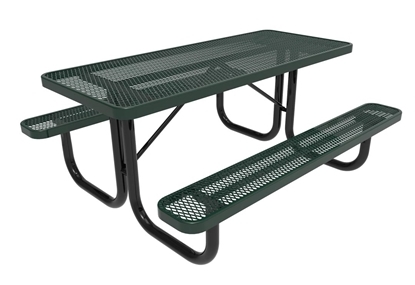 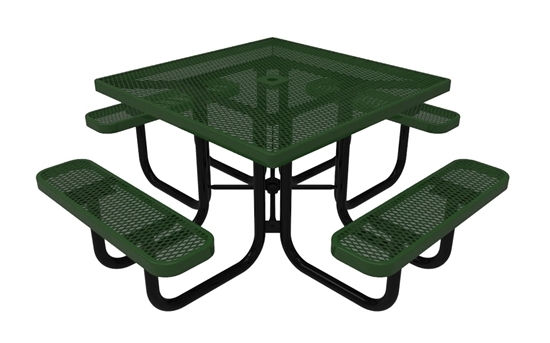 Made with 3/4" expanded or 1/2" punched steel top and seats and a 2" powder coated frame for a long lasting picnic table. 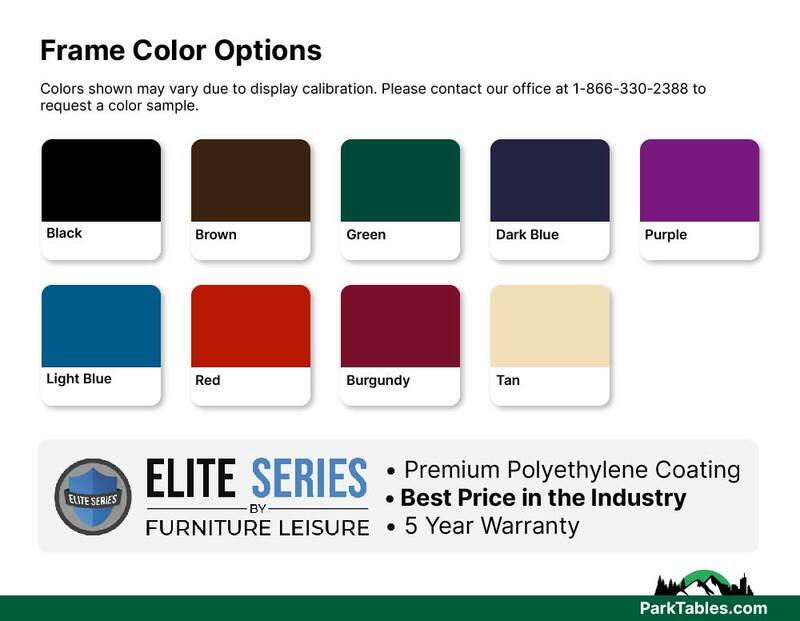 The Elite Series brand is the perfect combination of heavy-duty and value. 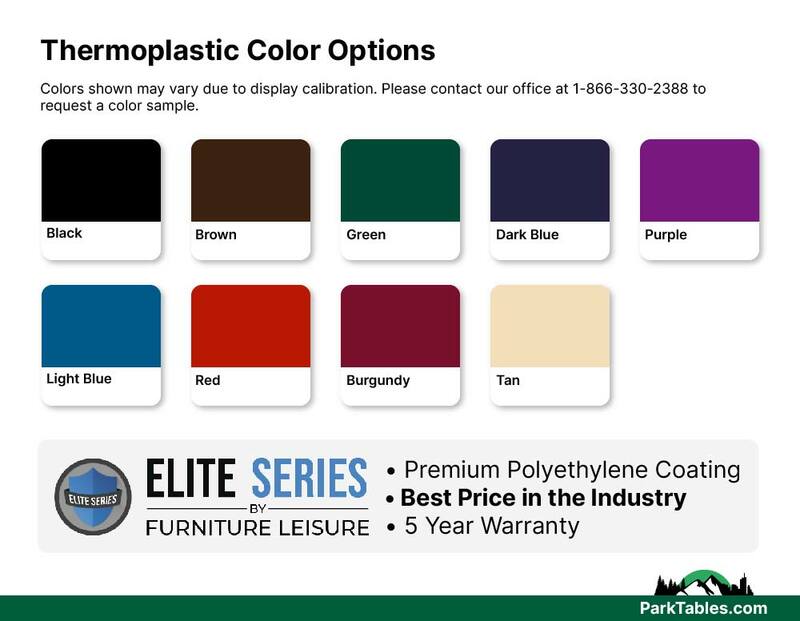 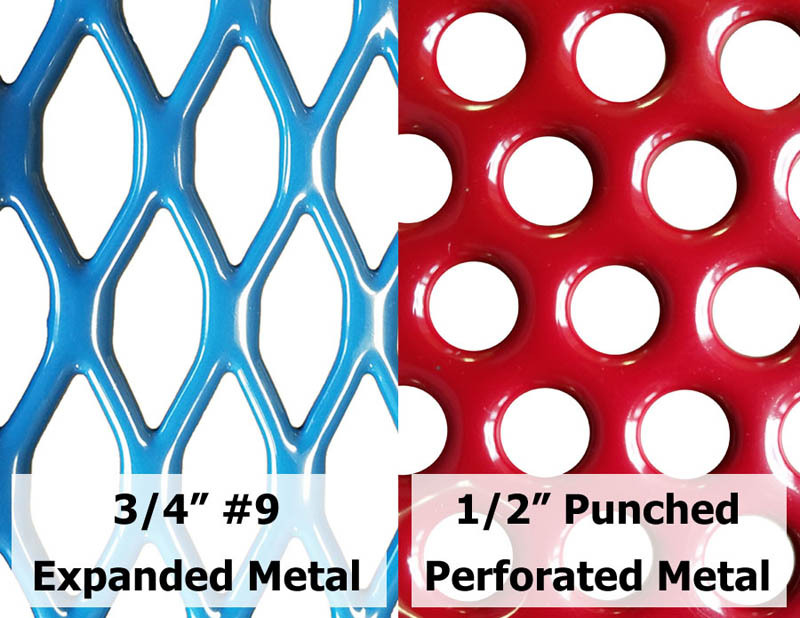 Call today for quantity discounts and fast shipping!